Morgan Stanley has named Thiago Melzer, one of the Forex industry’s rising stars and current Managing Director, as its newest Global Head of FX Options business, following a recent promotion this past January. 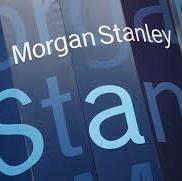 Morgan Stanley represents one of the financial industry’s largest global services firms, offering investment banking, securities and wealth management services – this summer, the group has already made a number of key splashes in terms of hires. Mr. Melzer will be relocating to London, following a previous stint for Morgan Stanley in New York. In his new role, he will be responsible for all of the bank’s Foreign Exchange Options operations globally. Prior to the appointment, Mr. Melzer worked at Morgan Stanley since 2007 as its Executive Director – last January he was promoted to Managing Director, a position he has held until his newest appointment. Prior to Morgan Stanley, he worked at Banco Santander for nearly five years.